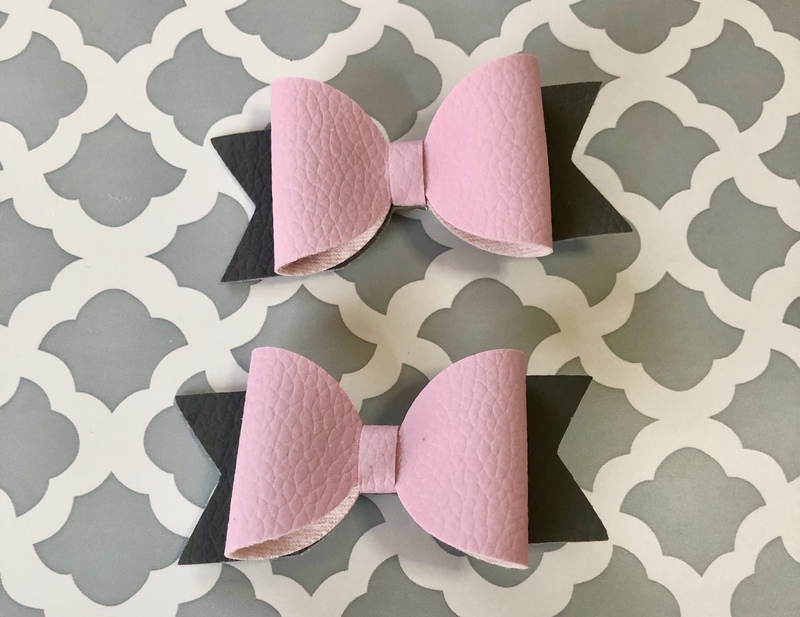 Similar leather bows are all over Pinterest. So I just had to figure out how to make them. 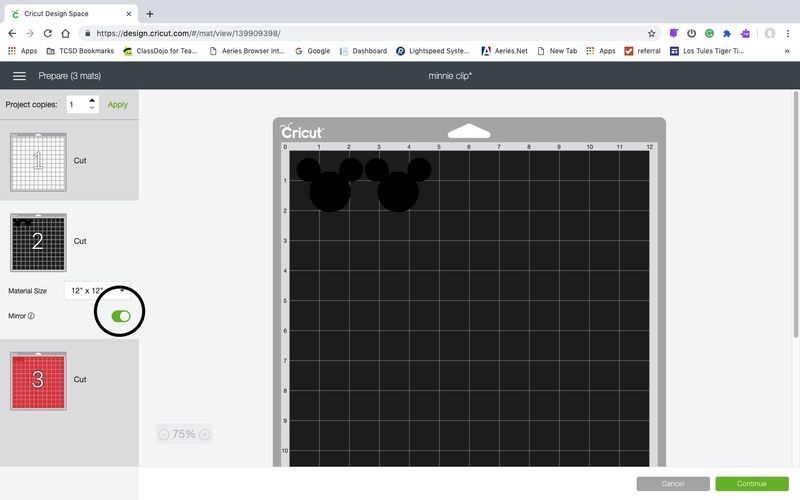 I am going to share how to cut faux leather with Cricut Explore. It’s super easy. It took a little trial and error, but you can learn from my mistakes. Let’s start with where to find this stuff. My local Michaels only had two rolls of Cricut faux leather. It’s pretty pricey for one small sheet. I bought this pack. I got eight pieces for $12.97. Each sheet is 8″ x 12″. That is way better than Michaels $8.99 for one 12″ x 24″ sheet. I really love that when you buy the pack it comes with a variety of colors. I also found this amazing faux leather ribbon at Hobby Lobby. It’s 8″ x 24″ it comes in some really cute colors and it’s only $4.99, but best of all it goes 50% when the ribbon is on sale! My two favorite ways to buy faux leather. I assumed I would need to use a Deep Cut Blade for this job. Wrong! When I used the Deep Cut Blade it tore up the faux leather. So, use your standard blade that came with the machine, so great you don’t need to invest in another blade. I did use my Strong Grip Mat. Put your faux leather face down on the mat. Make sure to put leather right side down on the mat. 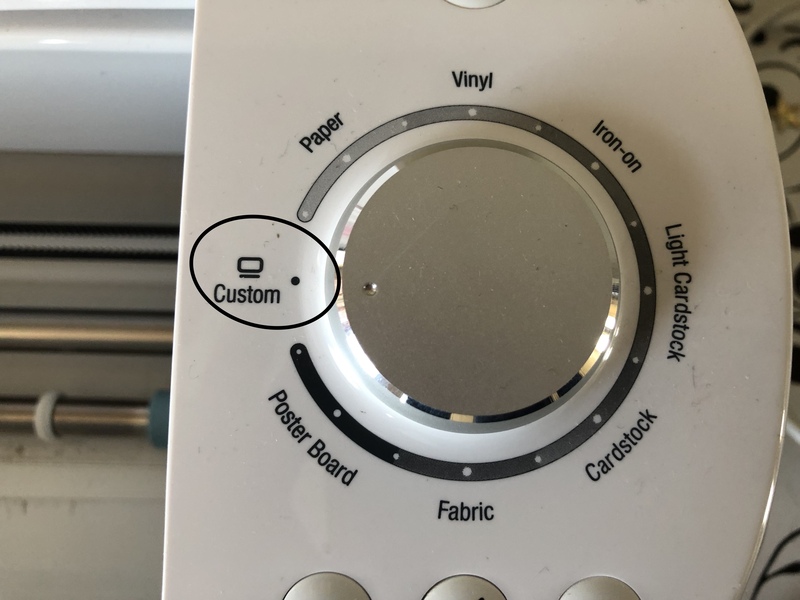 Set your Cricut dial to Custome material setting. 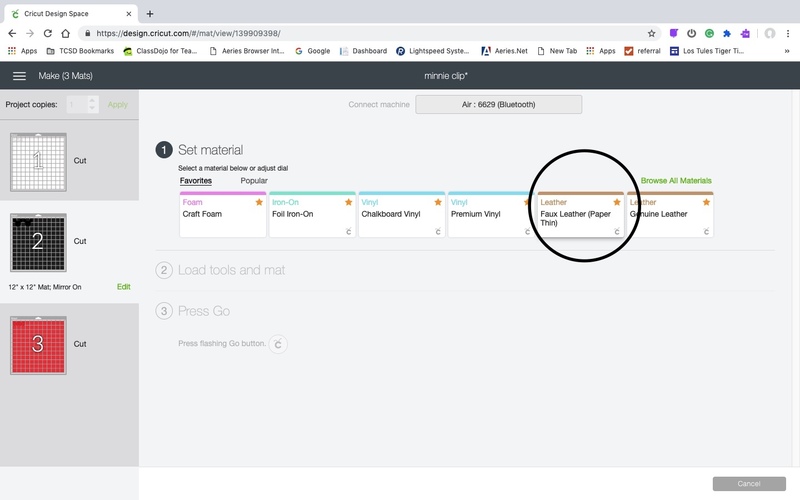 Since your material is face down, select mirror on the screen when you are getting ready to cut. Now you are going to select faux leather -paper thin. This is what threw me for a loop the first time. This faux leather doesn’t seem paper thin to me. So I tried the real leather setting. The Cricut applied too much pressure and tore the leather. Stick to the paper thin setting. Your machine will cut through each image twice, so it takes a little longer than cutting vinyl. They come out beautifully! I’ll explain how to make the Minnie hair clips in a future post. 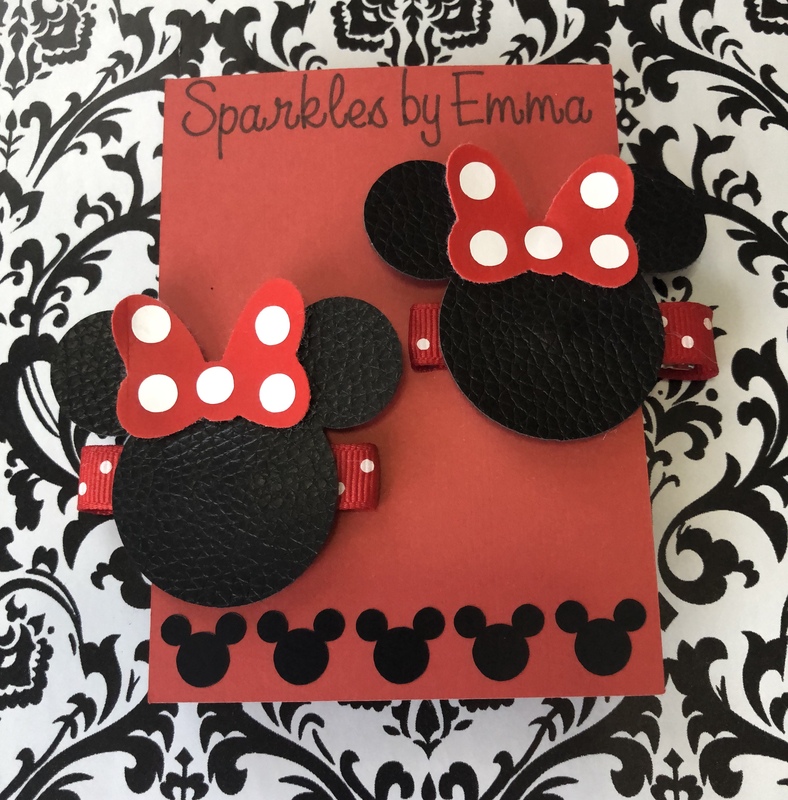 Cute leather Minnie hair clips. 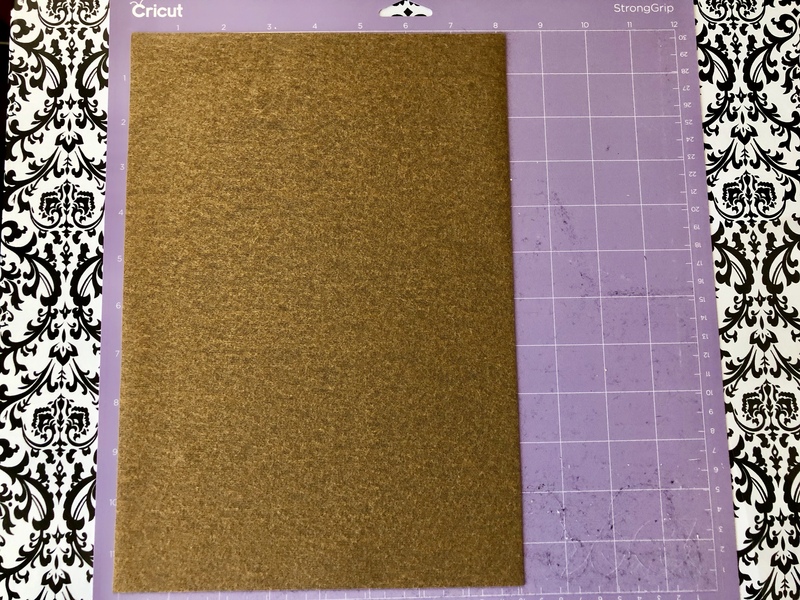 Learn how to cut faux leather with Cricut from my missteps. Use a standard blade that came with your machine. Faux leather goes face down on the cutting mat. Mirror your image because the leather is face down. 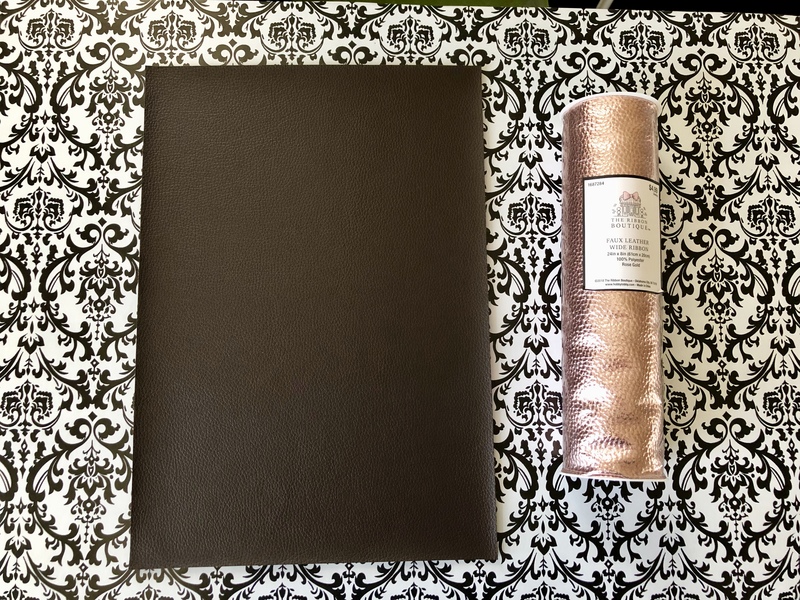 Use custom setting for Faux Leather Paper Thin. Get some faux leather today and try it out!